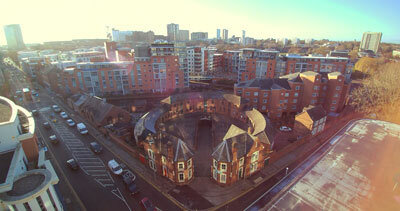 Tucked next to the Birmingham New Main Line Canal, the Roundhouse is a horseshoe-shaped building, constructed in 1874. It was designed by architect WH Ward as a stables and stores, serving as the base for the City’s lamplighters and the horses of the Publics Works department. Building work began in February 2019 to renovate this iconic, Grade II* Listed building, which will include a range of space for office, retail, and a cafe; as well as visitor hub from which to explore the city by foot, by bike and on water. 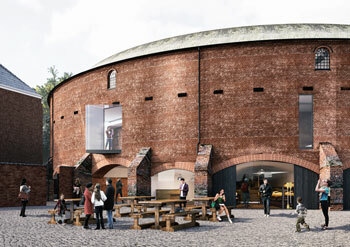 The Roundhouse will be open for visitors from spring 2020. The building is not currently operational and construction work will be taking place until the end of the year. 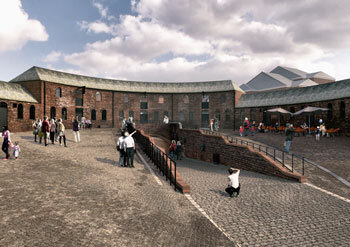 Take a Virtual 3D Tour of the Roundhouse before building work. 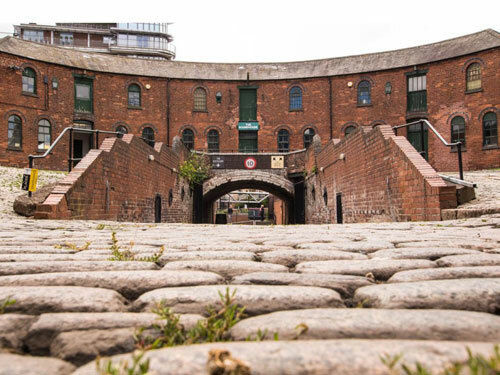 The Roundhouse will have a programmed offer of activities such as walking tours, kayaking, workshops, talks and pop up events.